Last year we shared details of our Brighter Beginnings apprenticeship programme. Having partnered with Damar Training back in 2014 and both becoming heavily involved in the creation of the apprenticeship standard, Brighter Beginnings has gone from strength to strength. We are now celebrating the success of the programme, with ten of our apprentices having now completed their Travel Consultant Apprenticeship, some of the first in the country to do so. Nine have secured a merit, with one, Megan Hearn, achieving a distinction. A further two apprentices are due to complete over the coming weeks. The future looks bright, as we are now planning to recruit a further 8 apprentices to start this year onto the programme. 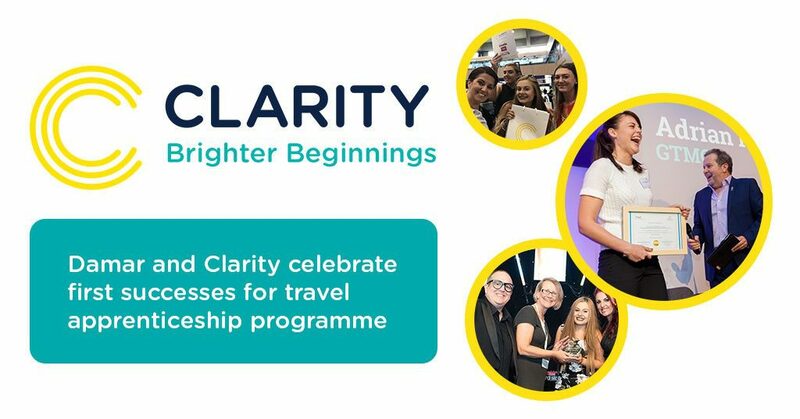 We will continue to develop our offering – the next group will benefit from an enhanced educational trip as part of the apprenticeship and both Clarity and Damar are committed to providing the best possible learning and working experience for their next generation of travel consultants.